For the record, that phrase “Ignorance is bliss” is NOT justification for one to remain ignorant in order to attain happiness. I double checked it this week and found that it goes back hundreds of years into Europe (no surprises). But it was most famously used in a poem by an old english fellow called Thomas Gray (1716-1771), titled, ‘Ode on a Distant Prospect of Eton College’, which carries other lines that should be of interest. I read the entire poem after encountering a concentration of incidences where people displayed ignorance quite blissfully, particularly about Uganda and the continent of Africa in general; and worse, many Ugandans and Africans respond with blissful ignorance to what is going on around us. That was because he is talking about how young children are so happy simply because they don’t know much of the world…yet. My incidents these last couple of weeks in which people displayed such stark ignorance with bright bliss occurred mostly on the internet, which is dominated mostly by North Americans and Europeans (led by the President of Spain who invented #SpainIsNotUganda). Many of them actually believe that this continent is just as it was back before the 1800s when the first white man arrived to deliver the savage from pestilence and death in the jungles. Their understanding of this continent is infantile, and most simplistic. The internet queen of blissful ignorance had to be Jessica Tidwell, the wife of a missionary who came along with her husband to Kenya to save the savages. Her blogpost ‘It Didn’t Happen Like I Thought It Would’ took our little world by storm because of her stated expectations and how they were not met. You see, she boarded a plane to Kenya expecting to land in the jungle amid welcoming emaciated, dancing savages warding off lions and diseases, but on that first day she found herself in a shopping mall just like any in her homeland, where fat people (including white Americans) were buying mayonnaise. “My heart was prepared for dirt floors. For dirty laundry hanging everywhere. For kids that were half naked and covered in bug bites. People who couldn’t speak English,” the poor girl lamented. The Kenyans, shame on them for disappointing her so vastly, eventually helped her with her mission and provided some poor Africans for her to help, and the rest of her other blog posts she returns to her normal mode where she says Africans selling their wares are “desperate” to make a sale, as if Walmart and Macy’s and all the American stores are NOT desperate to make sales when they advertise and market their wares. Luckily for Kenyans, their society is quite quick to respond in these instances, and within a matter of hours they had converged on her blog and soundly told her (and any American who held similar ideas and was drawn to that blog) off for being so blissfully ignorant. But those who do not respond to these people to educate them are somewhat as blissfully ignorant, and unfortunately the majority of us, Ugandans, are on that list of blissfully ignorant themselves. Never got the hang of squat toilets? Okay, I sympathised with her on that one, but the conversations with women about boys and hair should not have been a surprise, since our women are as human as Australian women. If one went to a zoo and had conversations with female species there about anything, it would have been worth mentioning, but this? That study quotes an Australian Bureau of Statistics survey done in 2005 (the most recent they have – http://www.domesticviolence.com.au/pages/domestic-violence-statistics.php) that found that: a) almost 500,000 Australian women reported they had been physically or sexually assaulted in the last 12 months; b) more than one million women in Australia had experienced physical or sexual assault by their male partners; and more. The statistics for Uganda in 2007 put the figure of domestic violence victims between 60% and 70% in 2007, and in Australia it was about 64%. 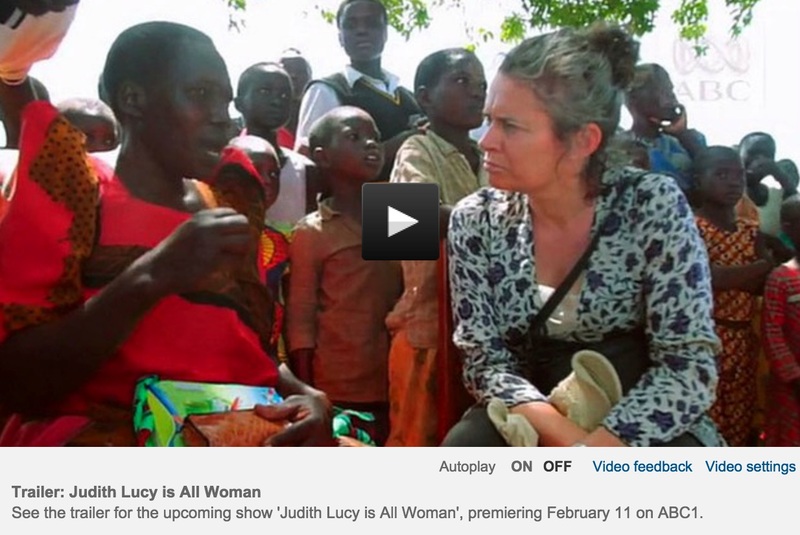 Yet Madame Lucy there found that the domestic violence situation in Uganda is “so removed” from that of Australia! This is where we are supposed to jump in with our comments, all Ugandans, to help rid these people of claims of ignorance, and shake them out of their ill-attained bliss. In a third incident, an American was arrested for getting involved in some scam – NOT as a victim, but as a willing participant – which the internet announced as ‘Northern Michigan man used as accessory in Uganda Internet Scam’. Very few of us responded to protest the labelling of the scam as “Ugandan”, allowing those who read it to think we have a national claim to whatever fraud it was, yet it involved a Ugandan woman AND an American man. Making comments at the end of these articles and blogs is free and takes only a few seconds. To quote another great man, besides Gray, “emancipate yourselves from mental slavery…” and go to the internet, read these articles and blogs, then make your comments so that the ignorant people cease to be blissfully so. Of course, it would also help if we all did our jobs better so that there are fewer shacks, better hospitals, better roads, more serious education, and respectable leadership. But in the time being, stop being silent; silence simply fuels this ignorant fairy tale of savages in the jungle dying violently of pestilence and disease. Good One SKaheru; I twitted the link, directed at RJ Wolcott! Yes! You are right about each one of us playing our part to rid our country of shacks, disease (and of course these inhumanitarian tourists). But I must say, the Judith Lucy, the Jessica Tidwell are most likely doing nothing to rid their own back/front-yard of all the disease, suffering and domestic abuse. Happily ‘gyrating’ around Africa for a “white people’s burden” kodak moment. Finally, where I find “Ignorance as Bliss”, as I have sometimes used this phrase, is allowing kids to remain kids. Avoiding exposure to sexually explicit material or sexualizing their little brains. I say these two: First one, with reference to kids in Uganda watching all sorts of Brazilian soap operas on TV with sexual scenes; and the Second reference to my son’s Americans family that protests a six-year old playing hide and seek with his nieces! with sexualized rebuke! I disagree!